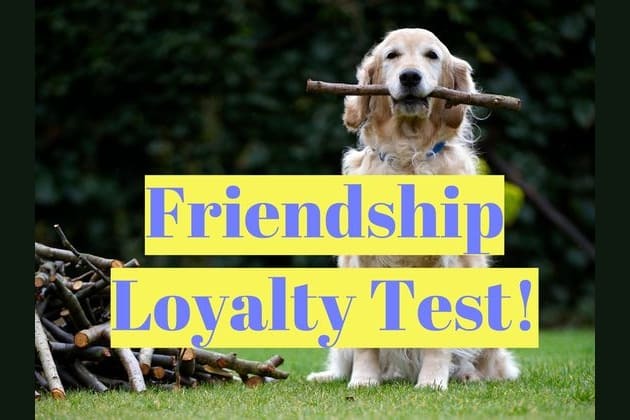 Take This Friendship Loyalty Test And See What Level Of Loyalty You Behold? How long would you wait to date the ex of one of your friends? What´s more important a friend or a relationship? Would you break the law to protect a friend? It never happened to me! You are a truly loyal friend, the one that is always there through thick and thin. For you, friendship is the most important value in life and you try every day to be better for the people you love and we appreciate that. You probably feel that the others don´t give as much as you do but please don´t change and feel proud about it. We all make mistakes in life, and we are all sometimes a little bit selfish, but that´s human nature and we know you try the best you can to be a loyal friend and you really mean it. Keep doing it and learn from your mistakes so you don´t make them again. Did you really do that to your friend? Wow. At least you are honest! We all fail sometimes but the most important thing is to learn from our mistakes and try to change in the future. It is always better to feel good with your actions than to be regretting them all the time. Your answer to these situations will tell us how much of a loyal friend you are.